Blow up the flyer to jumbo size and post it on advertising display glass around town. Leave stacks of flyers at your local library and at after-school tutoring centers. Distribute flyers in front of fast food restaurants, candy shops, movie theatres, children’s clothing shops, and school supply stores. 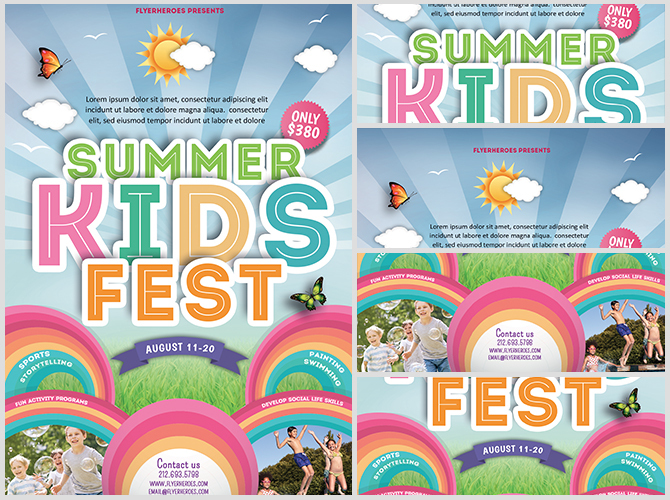 Use the flyer’s digital image to create a local paid summer kids fest Facebook advertisement. 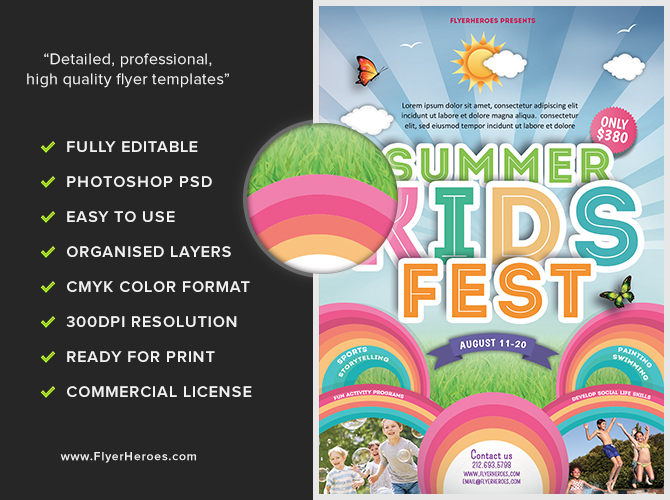 Tweet out a summer fest Twitter post using the flyer as its main image. Use the flyer’s digital image to create a bright and cheery postcard to hand out or mail to parents of school-age children. Use the flyer’s digital image to create an ad to post in your town’s local circulars and newspapers. Post the flyer on local community bulletin boards. 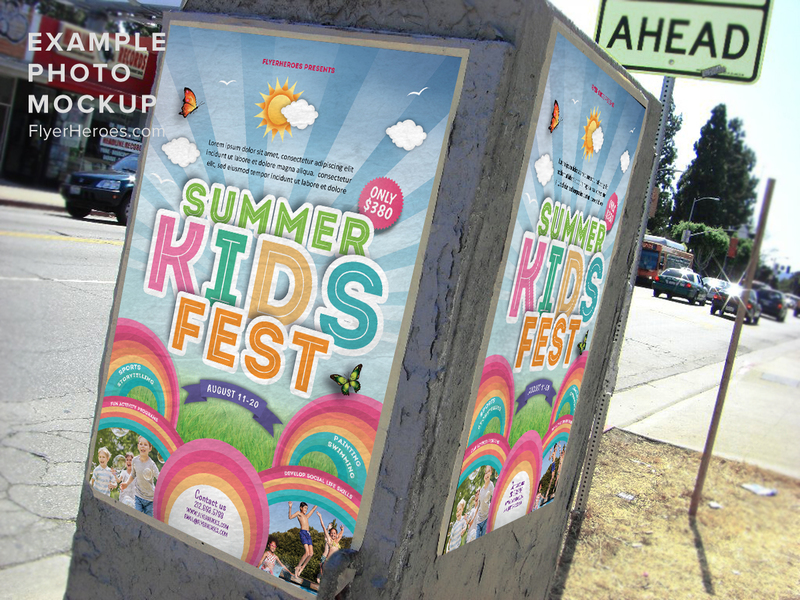 Distribute stacks of flyers at local schools, playgrounds, and parks. Have staff members hand out colorful balloons and flyers in front of recreational areas that families visit on weekends. Place flyers on car windshields in local residential areas. 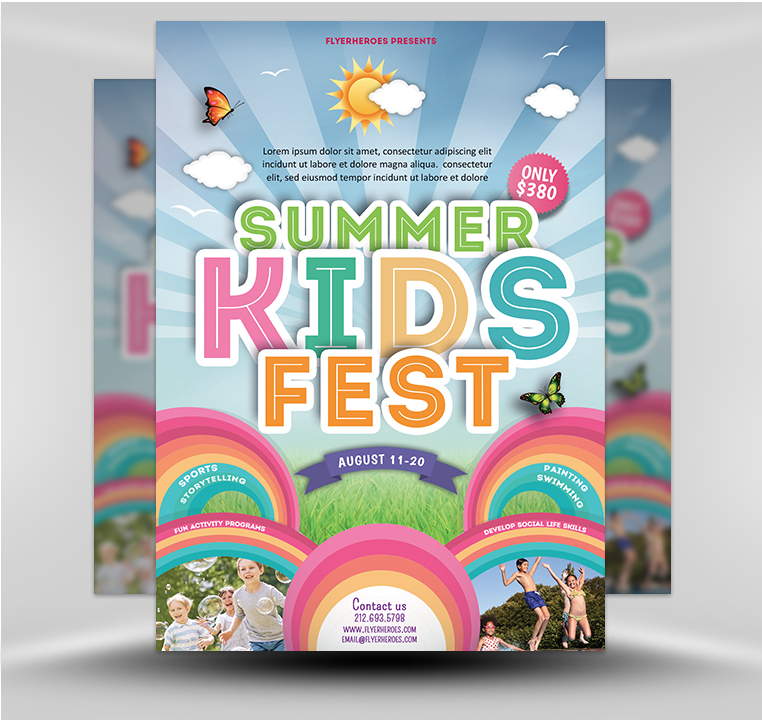 Provide local boys and girls clubs, kids sporting teams, swim and chess clubs, and other organizations with stacks of flyers to distribute to members. Provide special discount codes exclusive to those organizations.